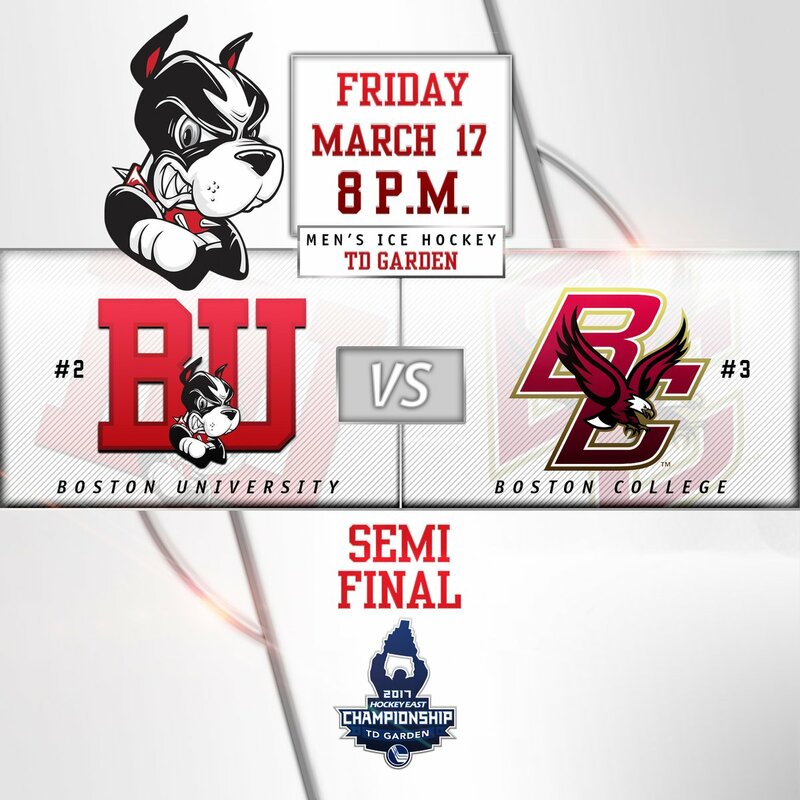 With Lowell’s defeat of New Hampshire on Sunday, the Hockey East semifinals are set. #2 seed BU will face #3 BC in Friday night’s 8 p.m. game, while Notre Dame meets #1 Lowell in a 5 p.m. game. Both contests at TD Garden will air live on NESN and ESPN3. Sophomore Jakob Forsbacka Karlsson was named Hockey East co Player of the Week following his one-goal, two-assist performance in Saturday’s 3-2 playoff win against Northeastern. The Bruins draft pick, who also won 32 face-offs in the two games with the Huskies, had previously earned P-O-W honors on January 9th. Chad Krys, who scored Saturday’s game-winner and Charlie McAvoy, who assisted on all three goals, were named to the weekly top performers list. Terriers moved up one spot to #7 in the USCHO national poll, leapfrogging Western Michigan. BU dropped a notch to #7 in the USA Today/USA Hockey Magazine poll. 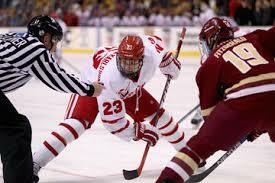 In the PairWise rankings, BU sits at #6. Sophomore Max Prawdzik, who has taken off a semester to play in the NAHL with Lone Star, continues to put up impressive numbers. 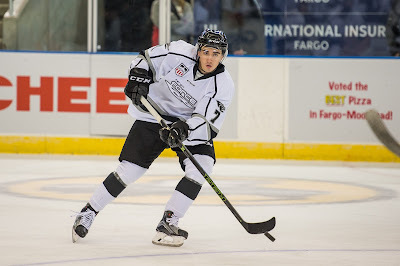 2017 recruit Hank Crone scored Fargo’s first and last goals as the Force defeated Sioux Falls, 5-2. He added an assist for a three-point night and, with a 21-28-49 scoring line, sits in a tie for fourth in the USHL scoring race. The left wing from Cedar Hill, Texas has nine points (5G, 4A) in his last five games. 2018 (or 2019) recruit Joel Farabee guested on the USHL’s “U Show” podcast (22:10), talking about his call-up from the NTDP U17s to the U18s and earning USHL Player of the Week honors for his recent seven-point performance (4G,3A) in a pair of wins against Waterloo that included an overtime game-winner and a hat trick. 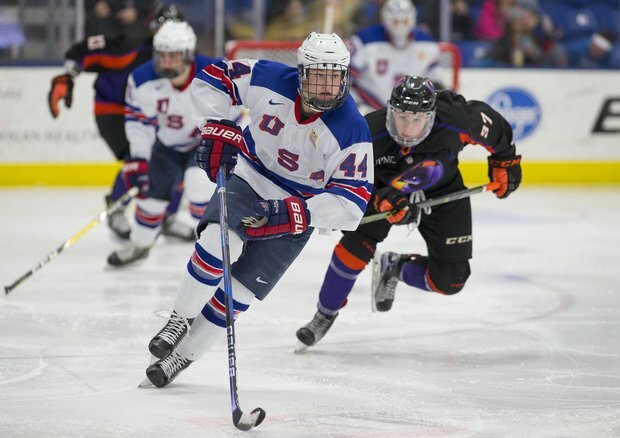 Farabee had a team-leading 31 points (18G, 13A) for the U17s and now has 11 points in 9 games for the U18s. Jack Eichel scored his 19th goal and assisted on the game-winner in Buffalo’s 5-3 win against Columbus.